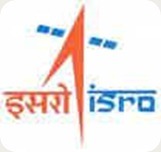 ISRO Indian Space Research Organization | Scientist/ Engineer-SC Recruitment | Government Jobs | March 2011 | Apply Online Up to: 4 April, 2011. ME/ MTECH required in Indian Space Research Organization, ISRO. Vikram Sarabhai Space Centre (VSSC), is the largest establishment under the Indian Space Research Organisation (ISRO), Department of Space. VSSC is engaged in the development of Sounding Rockets, Launch Vehicles, Spacecraft Subsystems and other Space related fundamental research activities. VSSC is the lead Centre for carrying out all the major Launch Vehicle Projects of ISRO such as PSLV, GSLV, GSLV MkIII, Re-usable Launch Vehicle (RLV), Space Capsule Recovery Experiment (SRE) and advanced missions such as Inter Planetary Missions, Manned Mission and First Indian Moon Mission (Chandrayaan-1) etc. Posted in Apply online, Government Job, Job After Btech, Jobs after ME/ MTECH, ME, Mtech. Tags: 2011., Apply Online Up to: 4 April, Government Jobs, Indian Space Research Organization, ISRO, March 2011, recruitment, Scientist/ Engineer-SC on March 24, 2011 by kavita joshi. NISTAIDS National Institute of Science, Technology and Development Studies | Government Jobs | March 2011 | Apply Online: 28 March–29 April, 2011. BE/ BTECH required in National Institute of Science, Technology and Development Studies, NISTAIDS. National Institute of Science, Technology and Development Studies (NISTADS), New Delhi, is a premier research Institute under the Council of Scientific & Industrial Research (CSIR). NISTADS conducts theoretical research and offers research-based advisory/consultancy and evaluation on issues at the interface of Science, Technology and Development and Innovation - known as Science and Technology Studies (STS). Post-graduate teaching and research guidance including offering short-term courses would also be undertaken. Educational: BE/ B. Tech. or its equivalent. Posted in Apply online, Government Job, Job After Btech, With experience. Tags: 2011 – 29 April, 2011., Apply Online: 28 March, Government Jobs, March 2011, National Institute of Science, NISTAIDS, Technology and Development Studies on March 23, 2011 by kavita joshi. ESIC Employees State Insurance Corporation | Government Jobs | March 2011 | Bio medical Engineer | Last Date: 25 April, 2011. BE/ BTECH (Bio medical) required in Employees State Insurance Corporation, New Delhi. Posted in Biomedical, Government Job, Job After Btech, With experience. Tags: 2011., Bio medical Engineer, Employees' State Insurance Corporation, ESIC, Government Jobs, Last Date: 25 April, March 2011 on March 23, 2011 by kavita joshi. BE/ BTECH (Chemical, Civil, Computer Science, IT, Electrical, Electronics, Instrumentation, Mechanical, Metallurgy) required in Vizag Steel, Visakhapatnam. Located in the city of destiny, Visakhapatnam Steel Plant (VSP) is India’s first shore-based integrated Steel Plant built with state-of-the-art technology and is a prime producer of long steel products in the country. With an annual turnover of over `10,500 crores, the Company is poised to increase the capacity to 7.3 Mtpa liquid steel by 2013-14 and has commenced planning for the next phase of expansion to 11 to 12 Mtpa, where it is expected to add flat products. Educational Qualification: BE/ BTECH (Chemical, Civil, Computer Science, IT, Electrical, Electronics, Instrumentation, Mechanical, Metallurgy) from an AICTE recognized University with 60% aggregate. Posted in Apply online, Chemical, Civil, Computer Science, Electrical, Electronics and Communication, Electronics and Instrumentation, Electronics and Telecommunication, Government Job, Instrumentation, IT, Job After Btech, Mechanical, Metallurgical. Tags: 2011., Apply Online Up to: 10 April, Government Jobs, Management trainees, March 2011, recruitment, Technical, Vizag Steel on March 22, 2011 by kavita joshi.